Eating animals is not healthy for human consumption. According to T. Colin Campbell, MD, and many other plant-based experts, the consumption of animal protein can be directly linked to seven out of the top ten leading causes of human death in the United States: heart disease, cancer, stroke, Alzheimer’s, diabetes, kidney disease, influenza and pneumonia. (T. Colin Campbell eCornell University – Center for Nutrition Studies Plant-Based Certification Course). 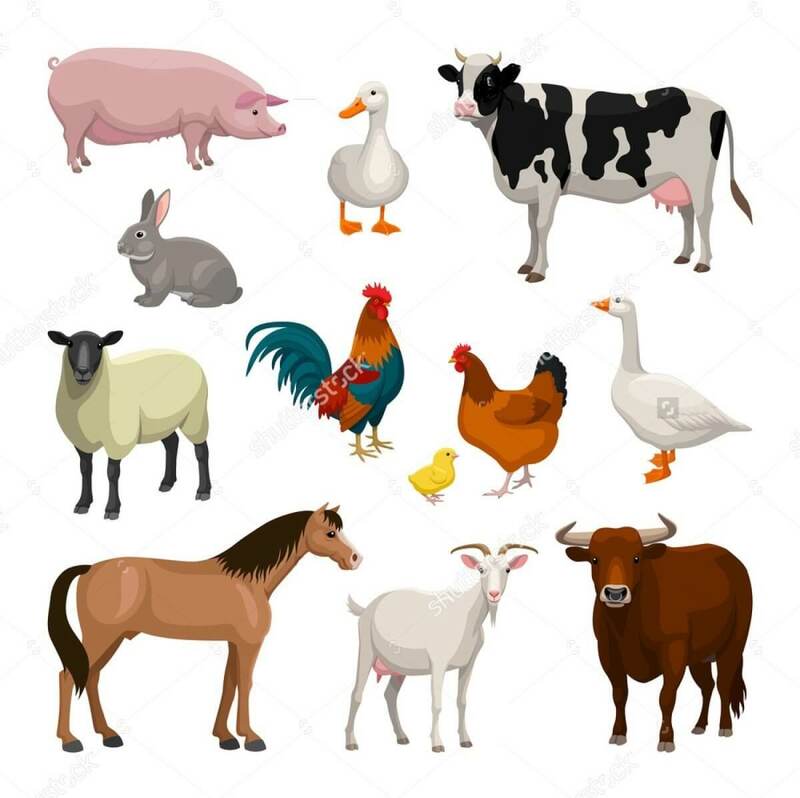 Due to the close quarters of factory farming, these sentient beings are overloaded with antibiotics to help keep them alive in extremely unsanitary conditions. What’s the result of this practice on us humans? Antibiotic resistance, that’s what. Especially with so many Americans eating their meat rare to medium rare, the antibiotics that remain in the animal flesh is not cooked out. And that’s not the only chemicals that remain in the meat on omnivores’ plates. There are the growth hormones. Oh, and let’s not forget that due to the poor sanitary conditions and the poor waste management (if you head down to the Southeast, you’ll find many open waste pools (manure lagoons) on the pig farms. People living close to these farms have an extremely high incidence of cancers, in addition to a myriad of other health consequences. Recently Hurricane Florence’s effects were not only humans having to be evacuated because of flooding. Far too many people left behind their companion animals to fend for themselves, causing them to drown with their last moments being that of suffering and literally scared till death. North Carolina is home to many of the pig factory farms, with manure lagoons abounding next to the close, unsanitary quarters within which the pigs are forced to live. Because these farms insure their livestock, these pigs were left behind , so here again, they were scared till death. Horrific. The factory farmers treated them as commodities that they could discard because, financially, they wouldn’t take a loss. Shame on all of them! H1N1, otherwise known as the Swine Flu and Avian Flu, are transmissible from animals to humans. According to the Farm Sanctuary, experts believe that the H1N1 outbreak was convincingly caused by the conditions that pigs live in on overcrowded factory farms with extraordinarily poor sanitation. Okay, so enough about how bad it is for us humans to be consuming other sentient beings. What about these beings who are raised on factory farms? Well, their life is, with no understatement, absolutely horrific. Factory farmed animals are given little to no room to move around, being forced to live in cramped, crowded areas. They are often living in their own waste. Some animals are actually completely restrained so that they cannot move at all (most common on pig farms). This is so that we humans can enjoy tender meat due to muscle atrophy rather than muscles that have been allowed to develop with their natural movement. According to Animal Sake, more than 80% of antibiotics are administered to factory farmed animals in the United States, thus bringing us to where we are today, antibiotic resistance. Did you know that “free-range” is pretty much meaningless? This is not a regulated term, so it could mean that at a small, select period of the day, a small door might be opened to allow the animals to go outside. Since many of the factory farmed animals tend to stay in herds, flocks, etc., they will not leave each other. And, as I just stated in the bullet above, they may have been rendered physically incapable of venturing outside. Factory-farmed animals are artificially inseminated (in other words, they are raped), oftentimes while they are still lactating from a prior birth. They are used and abused to continually procreate so that the farmers’ lucrative businesses can thrive due to inexpensive breeding in mass numbers. Dairy farms have no need for male offspring, so they usually become veal, immediately removed from the mother, who will wail uncontrollably and inconsolably for days and even weeks as she mourns the loss of her child. Well, wouldn’t you do the same thing? That’s not saying that the female offspring get to suckle their Moms. Oh no. They have anti-suckling devices painfully inserted in their noses so that when they approach the mother to suckle, they cannot attach to her teat. Furthermore, the device often has sharp prongs at the end so that it pricks the mother, causing her to also retreat from the calf. Baby chicks don’t have it any better. Males are discarded, literally. They are either tossed, alive, into garbage bags, cramped, on top of each other, causing them injury and harm but then to suffocate as they fight for their lives. If that technique isn’t opted for, many factory farms toss these newborn male chicks into grinders, thus becoming chicken feed. And the chicks that remain on the farm typically have their beaks cut off, without any type of medication to numb the pain or prevent infection, so they can’t peck at each other or pluck feathers. Animals are abused and tortured from the moment they are born to the second they reach the slaughterhouse. But many of them never even survive long enough to get to the slaughterhouse due to illness and/or injury. Their fear as they approach their death is readily apparent and some will fight to survive. They are then abused to the bitter end in ways that I will not mention here; you may google that for yourself if you want to know the horrifying details. Remember Mad Cow Disease? It is caused by feeding ground up remains of diseased animals to cattle. PETA has a very short article on their website, Leather and Factory Farming. Although the title relates to leather, in five short paragraphs it portrays an even more vivid view into the life of a factory farmed cow. I’d highly recommend that you click on the link and give it a quick read. 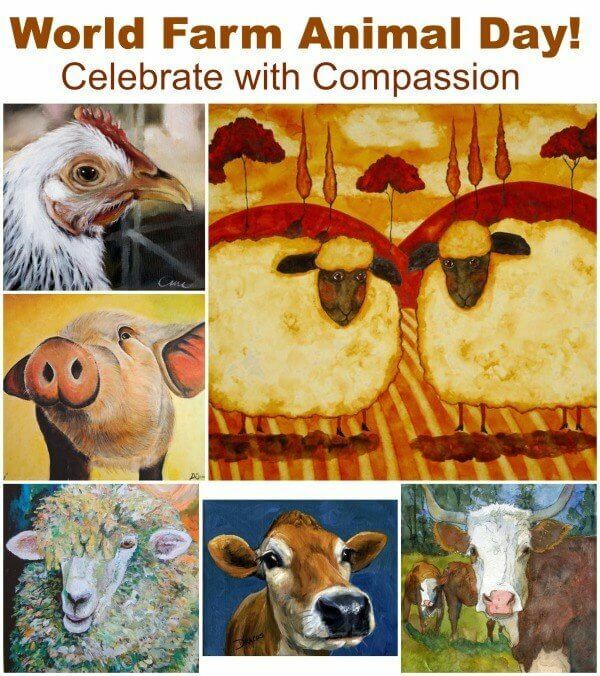 Ordinarily, we tend to think of factory farmed animals as cows, pigs, chicken, and sheep. But the list is farm more extensive and not just for the purpose of human consumption. Here’s a list that I found on Animal Sake’s website. The items in parenthesis were not on that list but rather ones that I added in myself. Interesting how so many of us tend to not remember to include fish on this list. They, too, are the victims of factory farming. They are fed so many antibiotics because of their cramped, close quarters, oftentimes swimming in water where they can barely move amongst the other fish and their waste products. They are fed dyes to color their flesh what it would be if they were left in their own natural habitats to live a life of freedom from human abuse. Fur-farmed animals were also not included in this list. While years ago most were caught in traps in the wild, thus called “wild fur”; that has not been the case for quite a while. They, too, are fatalities of factory farming. Mink, chinchilla, fox, rabbits, and yes, even dogs and cats, are amongst this list. 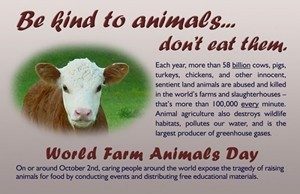 As we reflect on today being World Farmed Animals Day, please take several moments of silence to honor, reflect, and mourn the lives of our fellow sentient beings whose lives we have made torturous, disposable, and commodified. Make this a call to arms. Donate your time and/or money to a sanctuary. 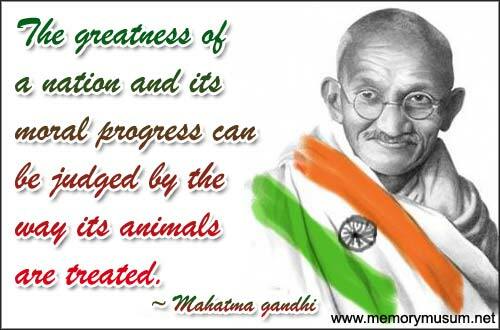 Protest the methods allowed in raising animals for human consumption and use. Send letters to your political representatives urging them to enact stronger regulations. The realities of factory farming. The practice of Ahimsa (non-violence and reverence for all life). The benefits of a vegan, plant-based diet. And pray (if you feel so inclined) for and envision a peaceful world where animals no longer suffer to please our palate or adorn our bodies.